Ahly's star playmaker Walid Soliman may need to undergo knee surgery after he suffered a cartilage injury, according to club doctor Khaled Mahmoud. 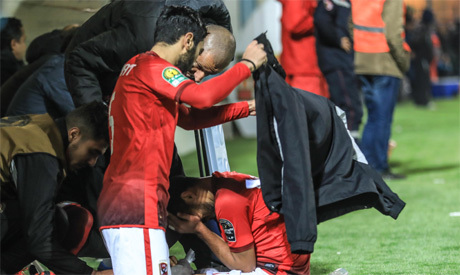 "Scans on Sunday revealed that Walid is suffering from an interior knee ligament injury and also a minor cartilage injury," Ahly's doctor Khaled Mahmoud was quoted as saying by the club's official website. Soliman's injury creates more woe for the Reds, who are already missing key players like Marwan Mohsen, Walid Azaro and Ahmed Fathi due to injury.